This image of landscape which includes the Hollywood Sign was photographed on April 17, 2010, and is owned by LAtourist.com, LLC. You can download the file below. Everyone is granted a non-exclusive license without any limitations on the file itself. 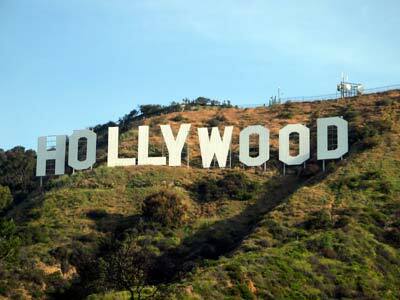 Please note that the Hollywood Sign icon is trademarked and subject to licensing restrictions. For more information on using an image of the Hollywood Sign commercially, visit the Hollywood Sign Official Website. If you use this image on a website or publication, a photo credit would be appreciated, although it is optional. Sample photo credit: "Image by LAtourist.com"